Be the first to share your favorite memory, photo or story of Jana. This memorial page is dedicated for family, friends and future generations to celebrate the life of their loved one. Jana Michelle Lee, 46, passed away on Tuesday, November 20, 2018 at Wayne UNC Healthcare. Jana was born in Wayne County on May 31, 1972 to Vicky Lee Griffin and the late Harold Brooks Lee. She was passionate about the work she did as a pest control technician as well as books, trips to the beach in the summer, and mountain trips in the fall. Jana will be remembered as a free spirit that enjoyed drag racing and listening to the Avett Brothers. Most of all, she enjoyed the time she spent with her family. The family will receive friends on Sunday, November 25, 2018 from 2:00 – 3:00 p.m. at the Pikeville Church followed by a service to celebrate Jana’s life at 3:00 p.m. in the sanctuary with Rev. Mark Whitfield and Rev. Thomas McLendon officiating. Interment will be with her father at the Pikeville Cemetery. 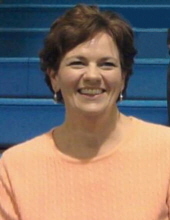 Jana is survived by her children, Dylan Barfield and wife Brittany, Brittany Brown and husband Jordan, Beth Barfield, Dalton Barfield and Jack Irvin; mother and step-father, Vicky and Dennis Griffin; grandchildren, Ayden Barfield, Addison Barfield, Emory Brown and Lily Brown; and brother, Chris Lee and wife Teresa. She is also survived by her aunt and uncle, Richard and Carol Morgan and nephew, Dickie Morgan and her significant other, Michael Brown. In lieu of flowers, the family suggests memorials in Jana’s memory to the charity of one’s choice. To send flowers or a remembrance gift to the family of Jana Michelle Lee, please visit our Tribute Store. "Email Address" would like to share the life celebration of Jana Michelle Lee. Click on the "link" to go to share a favorite memory or leave a condolence message for the family.